On this page we share articles and links that may prove useful to you in your work. The"useful links" page also has many additional references to websites as well! 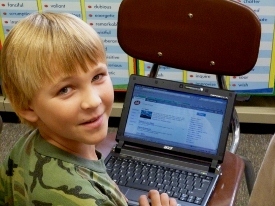 A superintendent talks about how blogging has helped him engage with his community. This article gives a different perspective on global school rankings that are often used by schools critics to condemn public school performance in the U.S.
Did you know only 9% of education reporters are educators?